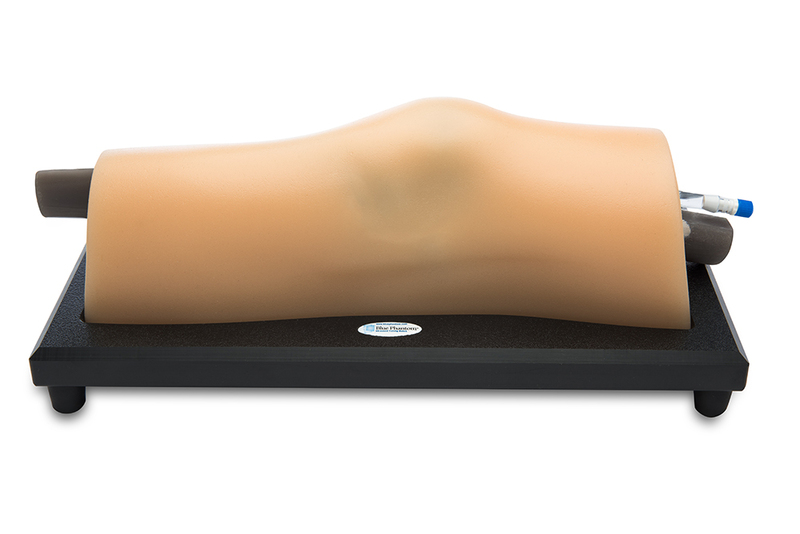 Blue Phantom is proud to introduce the World’s first Musculoskeletal Ultrasound Training Model for joint injections of the knee. Constructed utilizing our innovative LifeCast™ modeling approach, the external landmarks were cast from a human knee while the internal anatomy is based on digital human files. 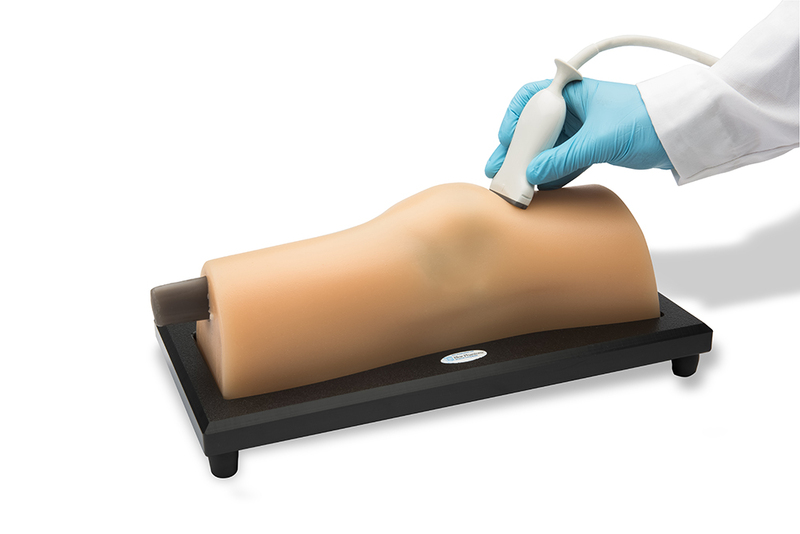 This ultra-durable ultrasound simulator incorporates all of the anatomy required to teach, learn and practice the skills associated with MSK joint injections and aspirations of the knee and was designed for both ultrasound guided and blind insertion procedural training. Utilizing advancements in SimulexUS™ technology we are able to accurately replicate the tendons and ligaments of the knee to offer a truly lifelike training environment, and because SimulexUS™ tissue is self-healing, the need to purchase replacement parts is dramatically reduced. 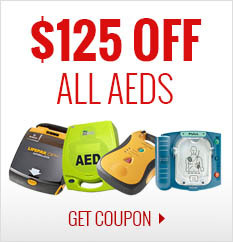 Excellent imaging quality and ultra-durable. 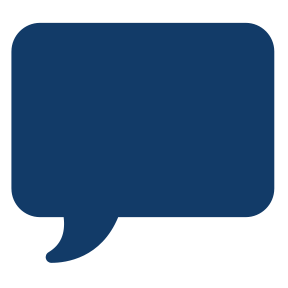 At Blue Phantom we strive to improve the quality of ultrasound training. 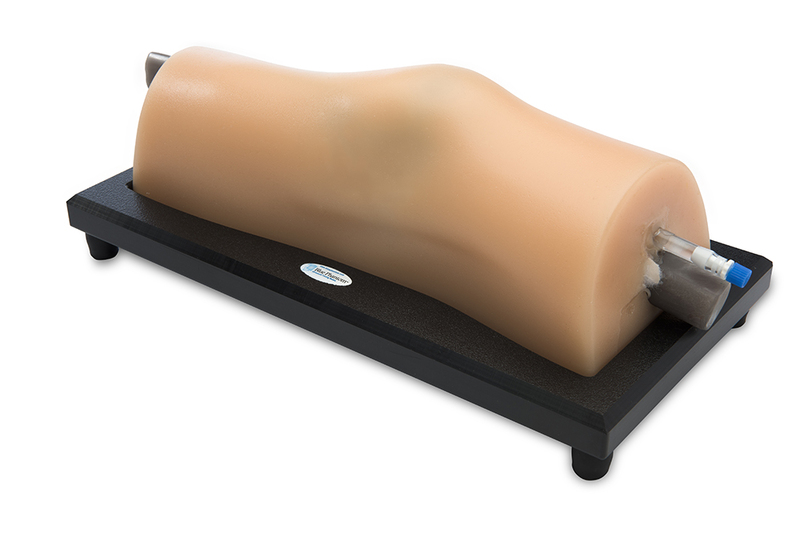 Blue Phantom’s patented SimulexUS™ simulated tissue matches the acoustic properties of human tissue and works with virtually any ultrasound system. Each of our training models is designed to offer users of all levels superior realism, reliability and durability. 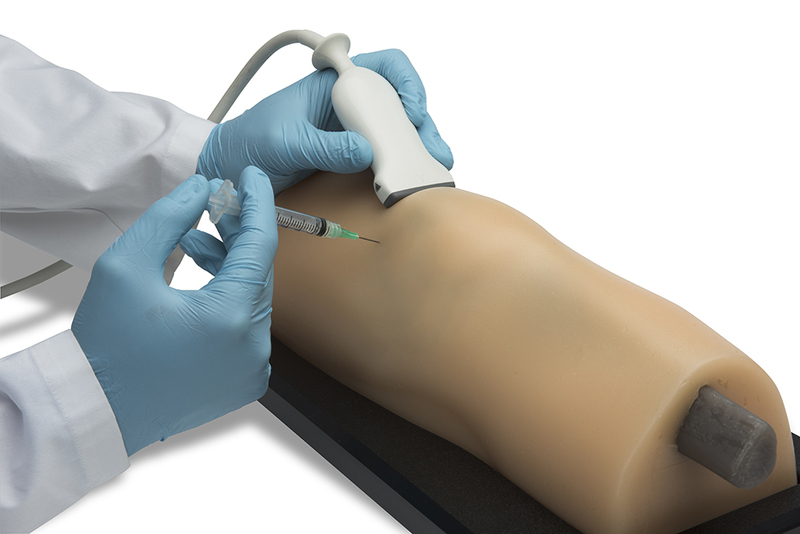 The Blue Phantom MSK Ultrasound Knee Task Trainer includes all of the essential anatomy to accurately teach and practice ultrasound guided joint injections and aspirations. The Musculoskeletal anatomy of the knee consists of the Quadriceps Tendon, Distal Femur Bone, Proximal Tibia/Fibula, and Patella. 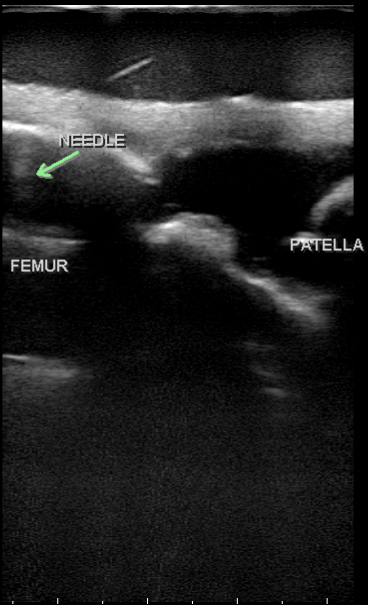 The Patella Bursa, Femur Fat Pad, Quadriceps Fat Pad and Percutaneous Fat Tissue are also included to provide the user live feedback of where they are directing the needle. 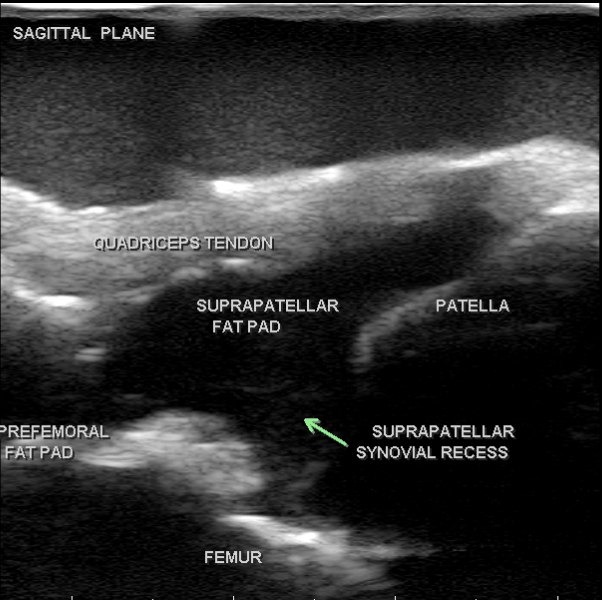 The Patellar Bursa and suprapatellar space can be adjusted with Blue Phantom refill fluid to simulate different pathology within the knee. 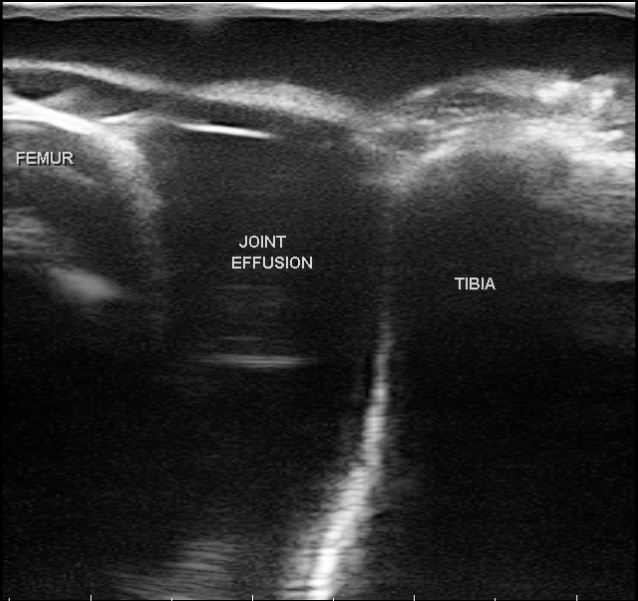 The knee comes preset at a 15 degree flexion angle with the ability to flex the knee an additional 10 degrees to create different target angles. 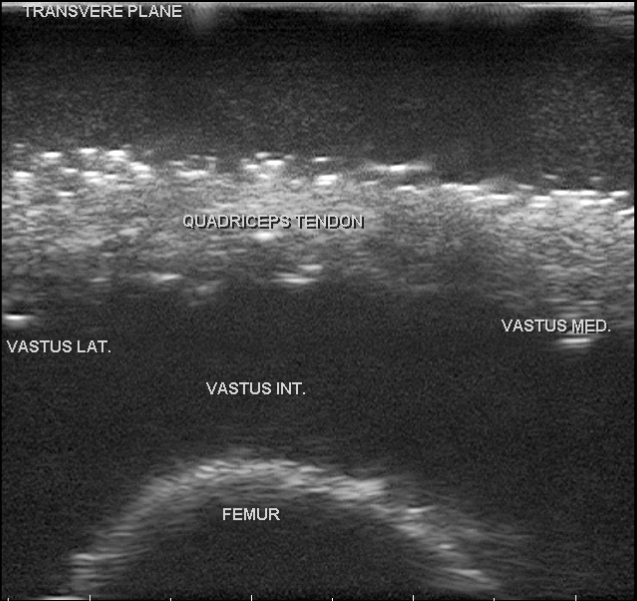 Excellent for training clinicians in the psychomotor skills associated with ultrasound guided or blind insertion of knee injections and aspirations associated with osteoarthritis and rheumatoid arthritis.